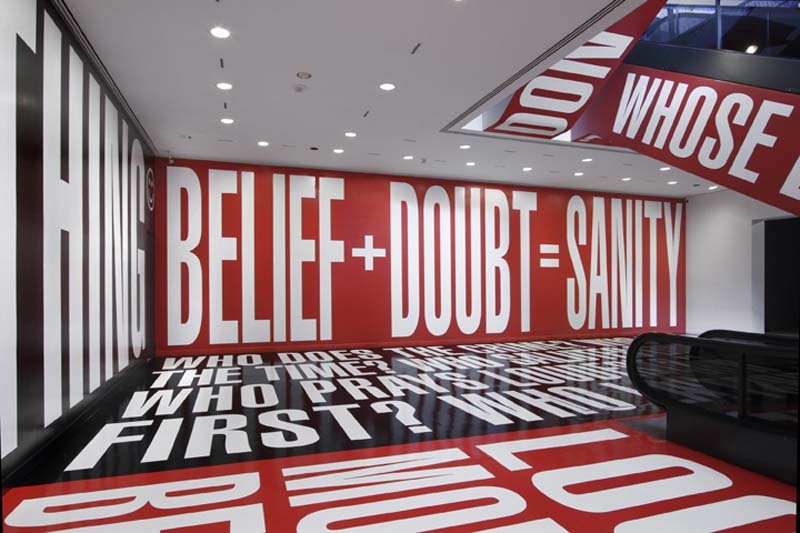 As part of an initiative to bring art to new sites within and around the Hirshhorn Museum, roughly a year ago the museum installed Barbara Kruger’s Belief+Doubt exhibit to fill the Lower Level lobby and extend into the newly relocated bookstore. The supersized words that have increasingly become Kruger’s trademark, create an environment that surrounds the viewer with language. 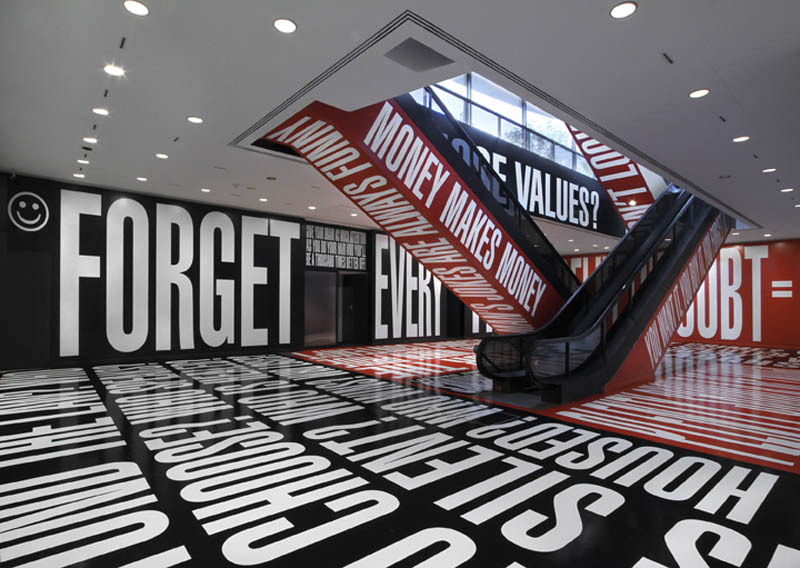 The walls, floors, and escalators are all wrapped in text-printed vinyl that address themes of consumerism and power. I love when type takes over a space and choosing a highly-trafficked area that includes so many different angles with the stairs is particularly dramatic. The exhibit will continue through December 2014, so if you find yourself in Washington D.C. in the next year and a half, you might want to stop by the Hirshhorn to have a look in person. Photos by Cathy Carver, courtesy of the artist. This entry was posted in Art, Event, Graphic Design, Just Plain Cool, Stuff We Like, Typography. Bookmark the permalink.